Hosa BNA-260 Dual Banana Connector DJParts - All Variety of Parts that DJ Needs. 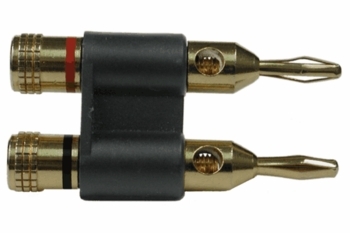 The BNA-260 Banana plugs are rock solid. Designed for heavy duty use. These Gold Plated connectors will accept 10AWG wire.